You know that scene in Amelie where she reaches her hand into a sack of beans because it’s one of her life’s simple pleasures? That’s how I feel about a bag of cornmeal. I have to resist the urge to dip my fingers into it every time I get it out of the cupboard. It’s ok. I know I’m an odd duck. 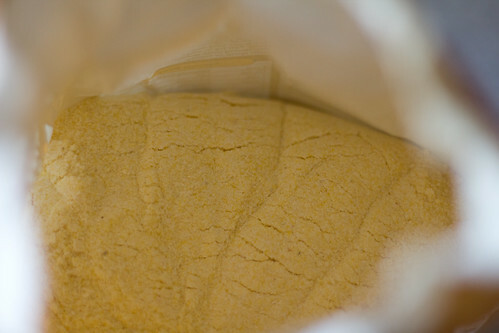 I don’t have a fancy recipe for cornbread, I just follow the directions on the cornmeal bag. 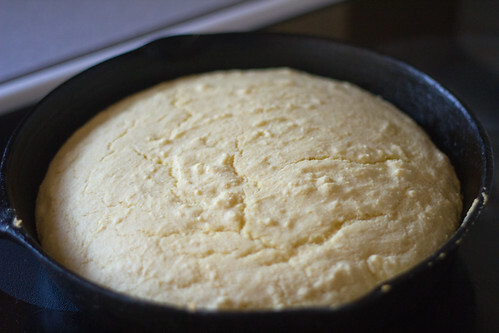 Maybe that will be a future project–fancy cornbread. Run of the mill cornbread, baked for about 10 minutes. In retrospect, I should have decreased the amount of cornbread and increased the eggs. 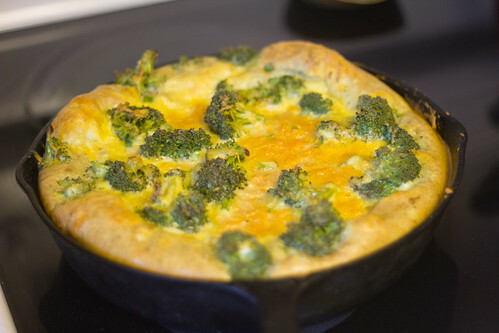 Not that it really mattered a ton, but it would have been a better egg to crust ratio. 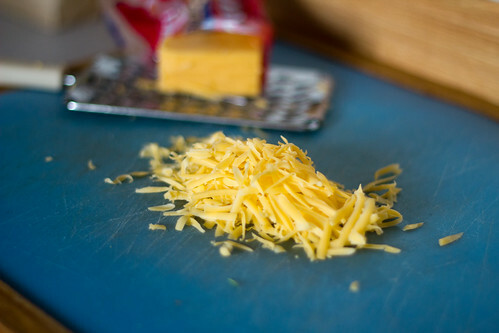 The cheese was perfect though. Just a little will do. 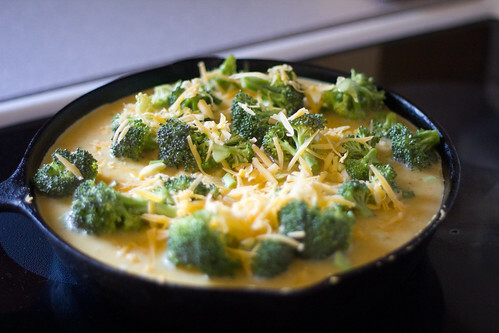 And in my book, broccoli will always be classified as a comfort food. 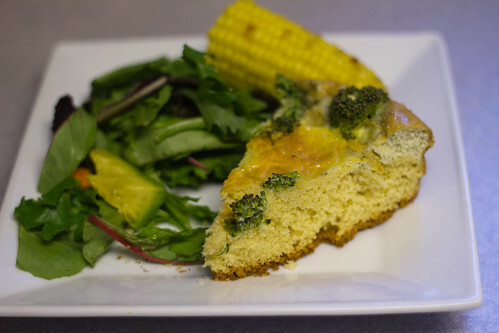 Bake the cornbread for 10 minutes. 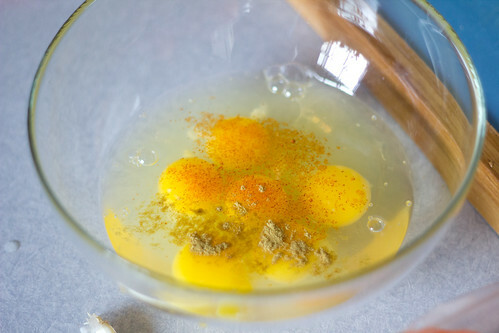 Meanwhile, beat the eggs with the cayenne, cumin, salt and pepper. 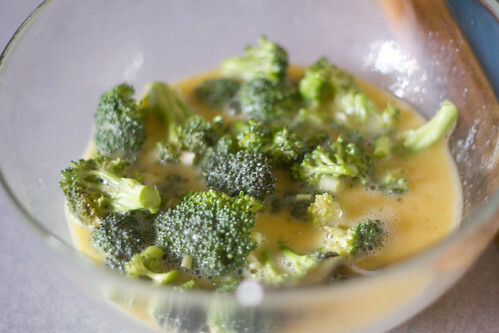 Stir in the broccoli. 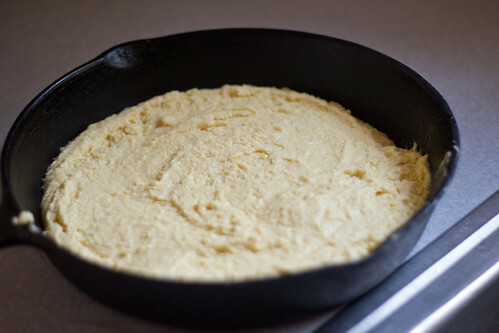 Pour the egg mixture over the cornbread, top with the cheese, and reduce the oven temperature to 375F. Put the quiche back into the oven and bake for another 30-35 minutes. Just until the eggs are firm and everything turns a nice golden brown color. Serve hot. If you want a little more kick or moisture, feel free to add some salsa as a topping.